The rider pinteño, champion of Giro, Tour and Vuelta, will receive on November 30 the King Pelayo prize from the president of Asturias Javier Fernández. 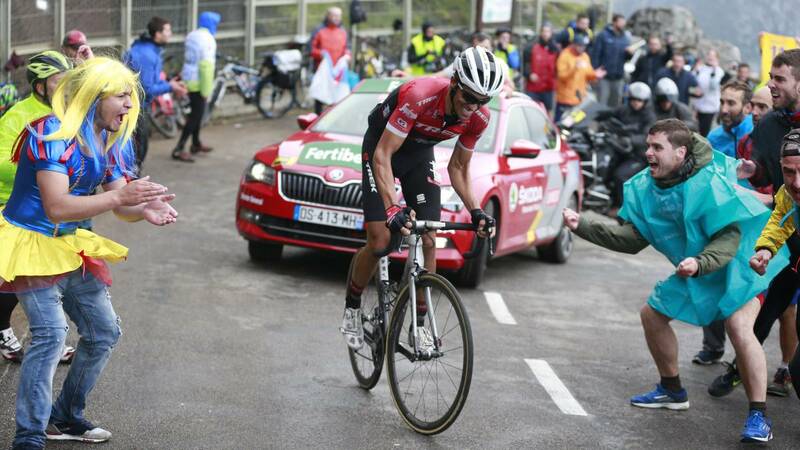 Alberto Contador will receive the King Pelayo Prize on November 30 awarded by the Sports Press Association of the Principality of Asturias. The President of Asturias Javier Fernandez will be responsible for delivering the award as thanks to the cyclist for everything he has done during his sports career in Asturias. The Principality of Asturias has witnessed decisive episodes in the life and sporting career of Contador. In 2004, during the Vuelta a Asturias the pinteño suffered a serious fall due to a cerebral cavernoma that was about to cost him his life in an episode that shocked the world of cycling. The pinteño has also lived great days as a cyclist in Asturias, including the Angliru in the Vuelta a España 2017, where Contador achieved his last victory as a professional. Contador will be one of the winners in a gala in which he will also be recognized Asturian sportsmen like the tennis player Pablo Carreño, the hitter Beatriz Martínez, the sub-17 football coach Toña Is and the footballers Miguel Pérez Cuesta 'Michu' and Juan Mata among others.